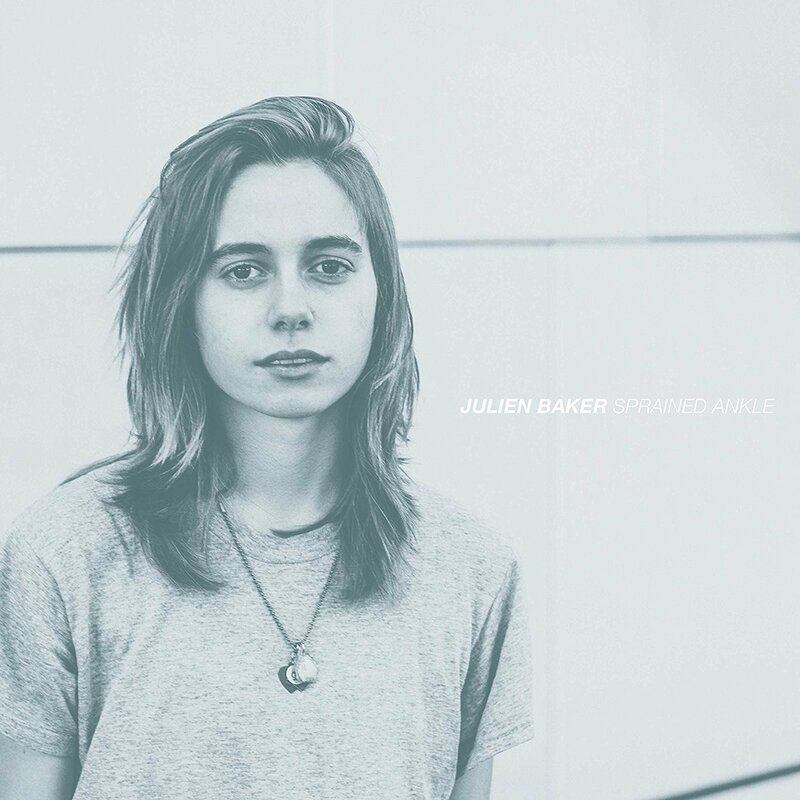 Originally released in the USA by 6131 Records back in October 2015, Julien Baker‘s Sprained Ankle is being given a new lease of life now that the Memphis, Tennessee songwriter is signed to Matador. With a voice that sits somewhere between Northern Irish singer-songwriter SOAK and Canadian legend Feist, Sprained Ankle is a delicate collection of songs with a most uncluttered production; indeed, Baker apparently recorded some of the tracks singing and playing acoustic guitar at once directly to microphone. This natural sound comes through on songs that actually started their commercial life on Bandcamp, where 6131 Records heard them and decided that a proper release would be in order. After beginning the record in a fairly low-key, and indeed low-fi manner with ‘Blacktop’, there are a couple of songs with something of an orthopaedic theme: title track ‘Sprained Ankle’ is beautiful; chiming guitars and the subtlest bass complementing Baker’s desolate vocals before the instrumentation builds ever so slightly with the addition of some really nice backing vocals. ‘Brittle Boned’ follows on and has a similarly bleak lyric; where ‘Sprained Ankle’ opined “Wish I could write songs about something other than death”, ‘Brittle Boned’ is a tale of a life-sapping hospital visit: “Pulse is slow / Faint metronome on my left side / Beneath my protruding spine / You can hardly hear at night”. Not since Red House Painters‘ wonderfully gloomy ‘Medicine Bottle’ has the subject of being in a humdrum medical haze been so accurately documented. There is respite when ‘Everybody Does’ comes along, a superficially sunny song but wait: explore beneath the surface and lyrics such as “Our carpenter is so elegant at placing splinters / Right beneath my nails where I cannot dig them out”. Like many of the songs on the album, it lays itself pretty bare both musically and lyrically and sometimes the listener feels almost awkward about gaining admission to Baker’s most personal observations. If there is a criticism of the record, it is perhaps that there is little variation in sounds over the course of its nine tracks, but conversely it could be argued that the album is a focussed and coherent work as a result. ‘Vessels’ is the pick of ‘Side Two’, a sparkling guitar recalls I Like Trains‘ (or iLiKETRAiNS, if you will) sombre brilliance, while closer ‘Go Home’ continues the fairly bleak lyrical themes: “There’s more whiskey than blood in my veins / More tar than air in my lungs”, sings Baker over a counter-intuitively bright piano backing. It is also the song in which Baker really lets go vocally; it suits her and it suits the track. Sprained Ankle certainly deserves a second outing and has enough about it to suggest that Baker might be within touching distance of producing a classic. Sprained Ankle is released by Matador on 17th March 2017.